​CORPUS CHRISTI – Three companies have raised $1 billion to build a 730-mile oil pipeline from the heart of West Texas to the Gulf of Mexico in Corpus Christi in what would be the state’s longest pipeline since at least 2008. The “EPIC” pipeline—which stands for Eagle Ford, Permian, Ingleside and Corpus—would transport upward of 440,000 barrels per day of crude oil and condensate out of the Permian Basin Shale field to the Corpus Christi region when it comes online in first quarter 2019. Additionally, Eagle Ford connections could add upward of 150,000 barrels of capacity, bringing the total to 590,000 barrels a day. 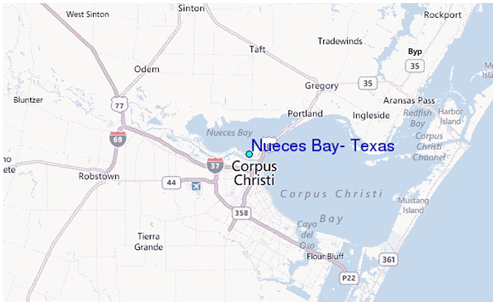 The terminal will have upward of 1 million barrels of storage capacity in addition to a 3 million-barrel storage facility near Taft, on the north side of Nueces Bay. Construction is set to begin in June 2017 and is scheduled to be completed by March 2019. ​Want m​ore data? See Corpus Christi Market Overview.